Umbrella Academy Season 2 Announced by Netflix | Nerd Much? After debuting on February 15th, fans have been wondering when – or if – Netflix would be confirming the future return of their comic adaption with The Umbrella Academy Season 2. Well, wonder no more. The studio announced that the series, and it’s cast, will return. Specifically mentioned in Netflix’s press release are the returning players of Ellen Page, Tom Hopper, David Castañeda, Emmy Raver-Lampman, Robert Sheehan, Aidan Gallagher, and Justin Min. The company stated that new additions to the cast would be implemented for the show’s second season. But those announcements will come our way at a later date. Netflix also announced that the series’ showrunner, Steve Blackman, will return to shepherd the second season as well. And he’ll be joined once again by Season 1’s executive producers of Jeff F. King, Mike Richardson, Keith Goldberg, Gerard Way, and Gabriel Bá. 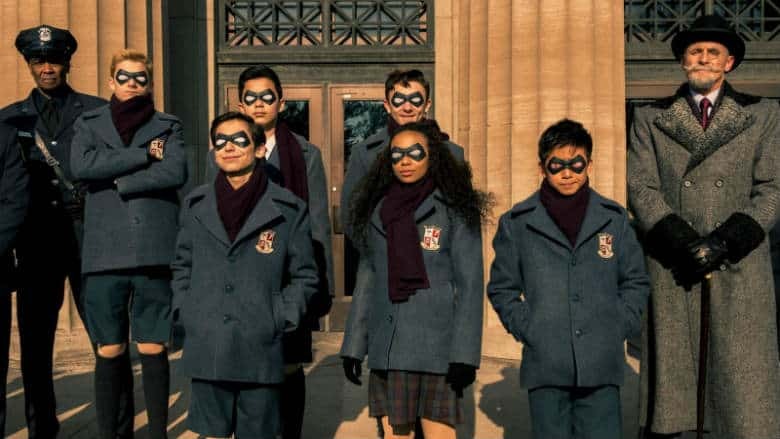 The Umbrella Academy Season 2, just as with Season 1, will play out over the course of 10 one-hour episodes. Filming is expected to begin taking place in Toronto over the summer. The first season of the show was pretty divisive amongst critics, which is evident by Season 1’s current Metascore of 62. Some critics, such as Collider’s Allison Keene, praised the show with a perfect score. However, as a whole, The Umbrella Academy holds 8 positive reviews, 8 mixed reviews, and 2 negative reviews. Netflix didn’t give any indication as to when they hope to get The Umbrella Academy Season 2 streaming on their platform. But with filming set to begin in just a few months, we can be hopeful for the return of the series right around its original February position. If you’re curious what else is headed our way courtesy of Netflix sooner than that, the studio recently released an impressive trailer for their upcoming horror movie, The Silence. And, of course, we have Stranger Things Season 3 coming Fourth of July weekend.